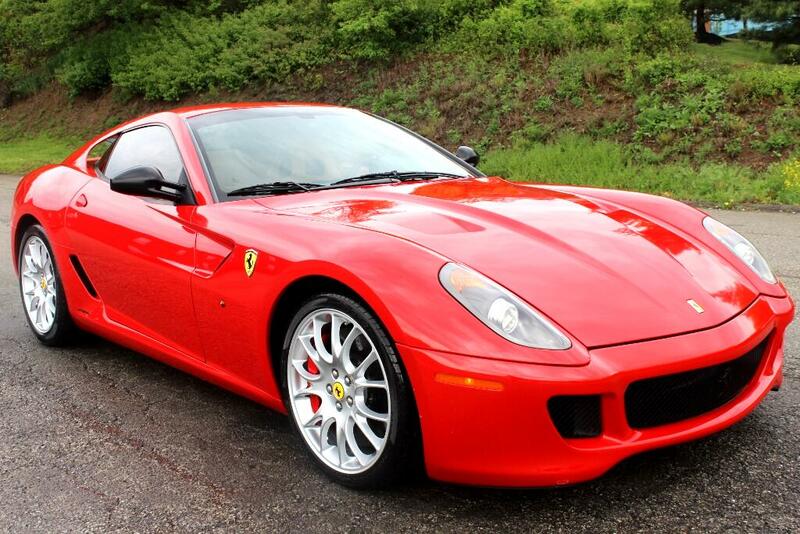 +++SOLD++++ LW AUTOMOTIVE IS OFFERING A 2007 FERRARI 599 GTB FIORANO COUPE FOR SALE. RED WITH TAN LEATHER. CLEAN CARFAX NO ACCIDENTS 3 OWNERS ALWAYS SERVICED! CLUTCH IS GOOD! ENGINE AND TRANSMISSION ARE VERY STRONG. FULL BINDER OF SERVICE RECORDS! BEFORE WE PURCHASED THIS CAR WE SPENT $500 A PPI. EVERYTHING CAME BACK GOOD! NEW PIRELLI P ZERO TIRES! GOOD BRAKES! OVERALL THE CAR IS A 9 OUT OF 10! COMES WITH 2 KEYS BOOKS CAR COVER AND SERVICE RECORDS! WE HAVE TWO SETS OF WHEELS FOR THIS CAR. PLEASE SEE PICTURES. THANKS FOR LOOKING THIS VEHICLE IS SHOWN BY APPOINTMENT PLEASE CALL 724-759-7103 FRESH OIL CHANGE AT 36965 MILES!